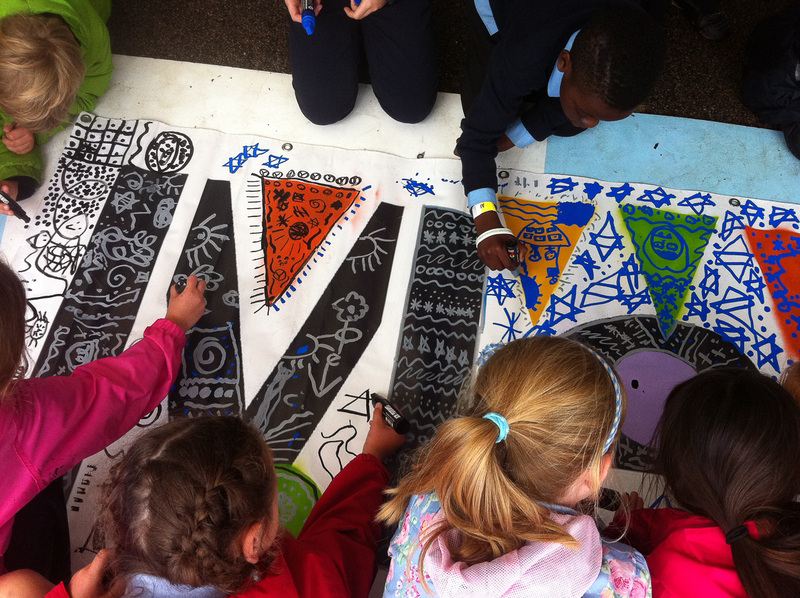 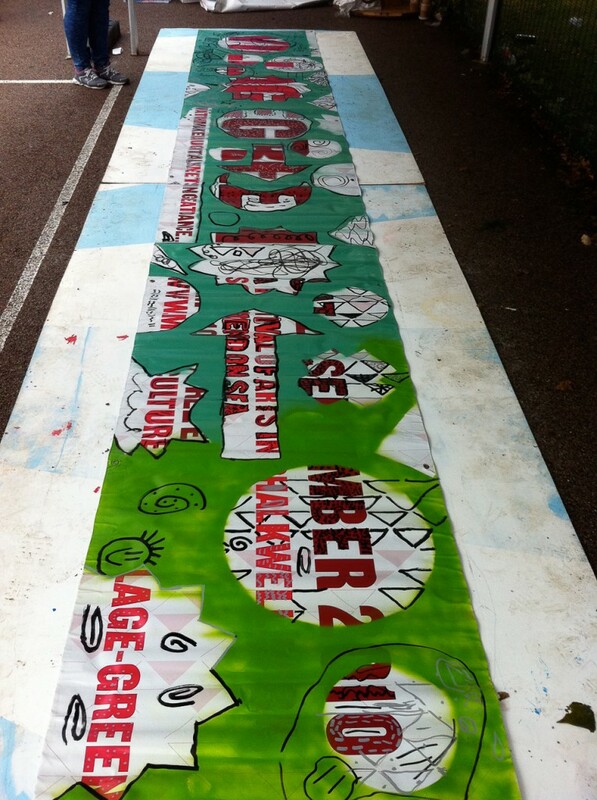 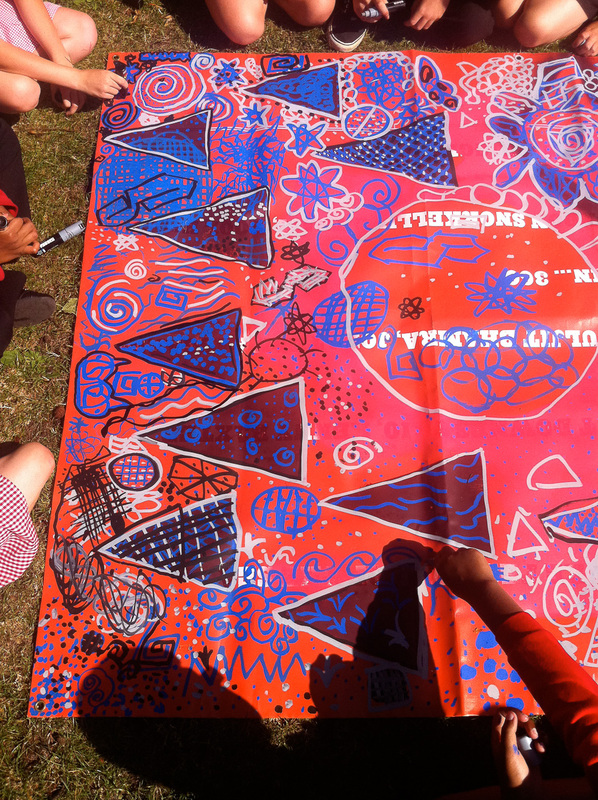 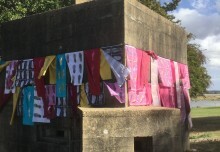 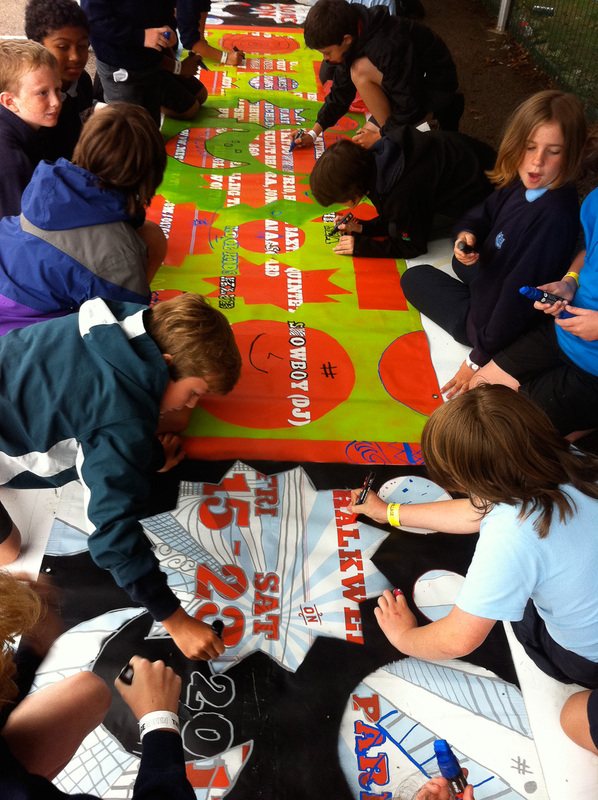 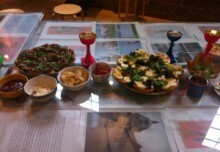 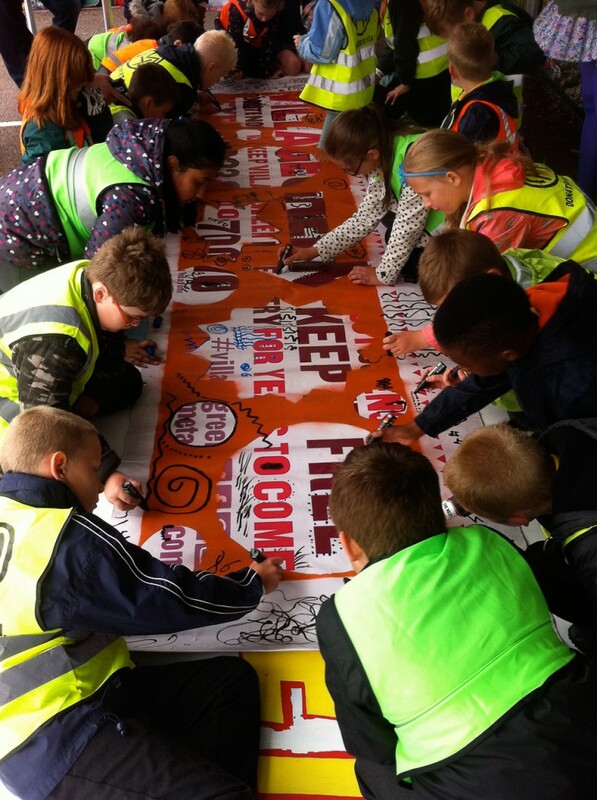 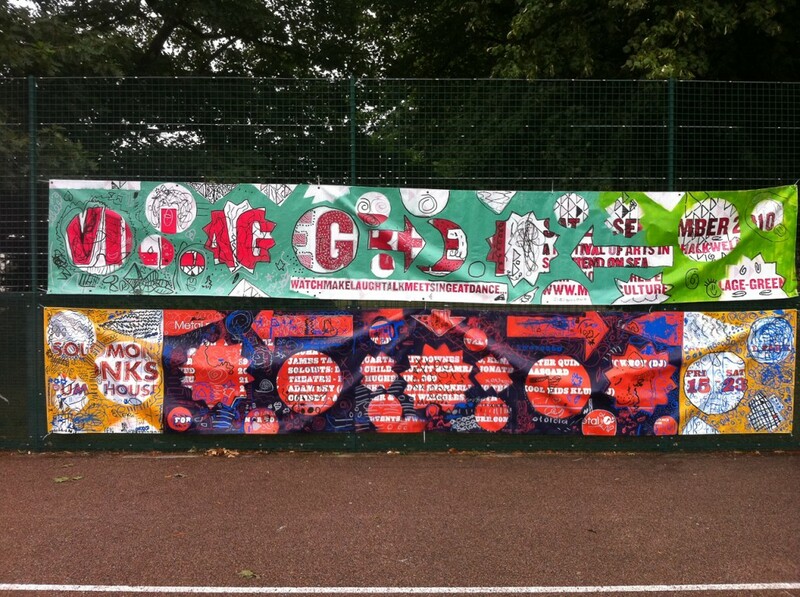 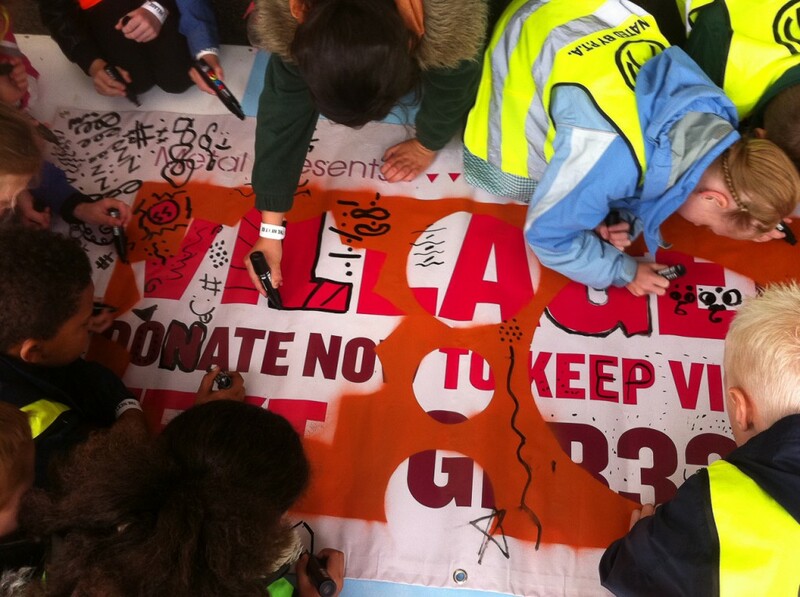 In July I created a banner-making event for Village Green – Next Generation. 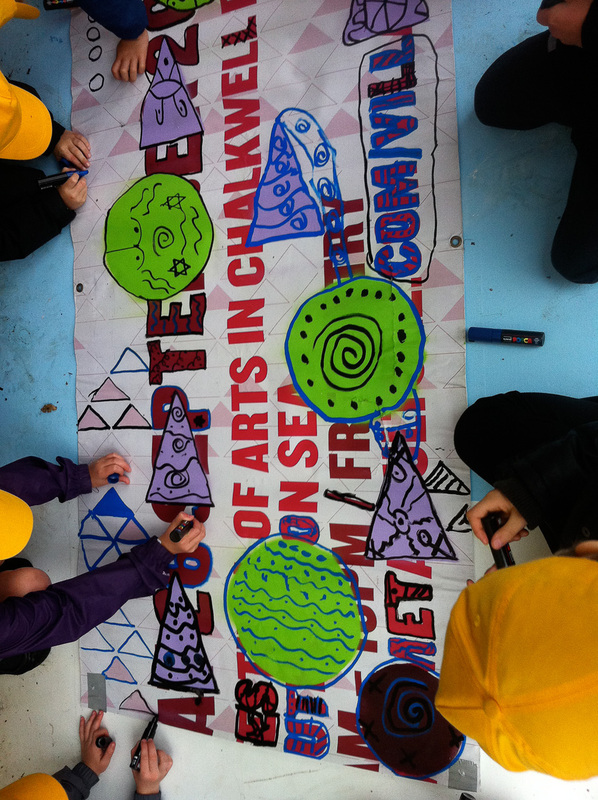 This involved around 350 school children working in small groups in quick turnaround half hour slots supported by artists. 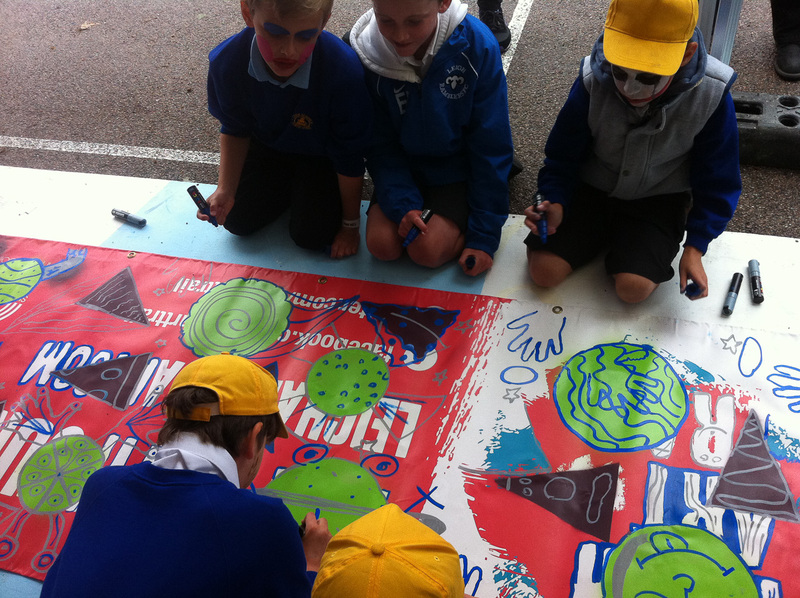 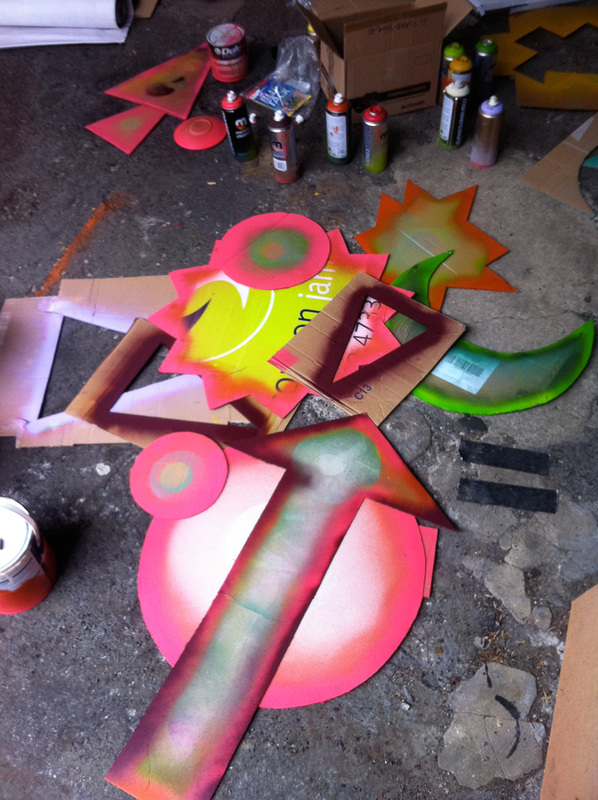 We used old vinyl banners that I’d pre-prepared with spray paints to abstract the type and encourage the children to see the visual potential in creatively interpreting the shapes and forms that were already there..but to lose the ‘sense’ of the original words – ie to see typography as designed symbols. They used paint pens which are semi-permanent once dry but quick and direct with bright opaque pigment – these were then displayed on the tennis courts during the main festival to invigorate otherwise ‘dead space’. A number of the schools then returned after the event to collect ‘their’ banner for display back at their school playgrounds. 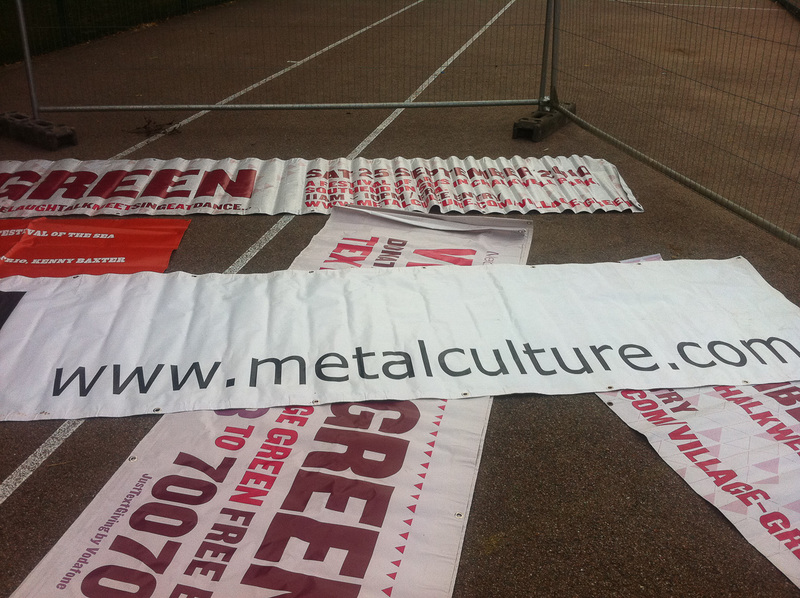 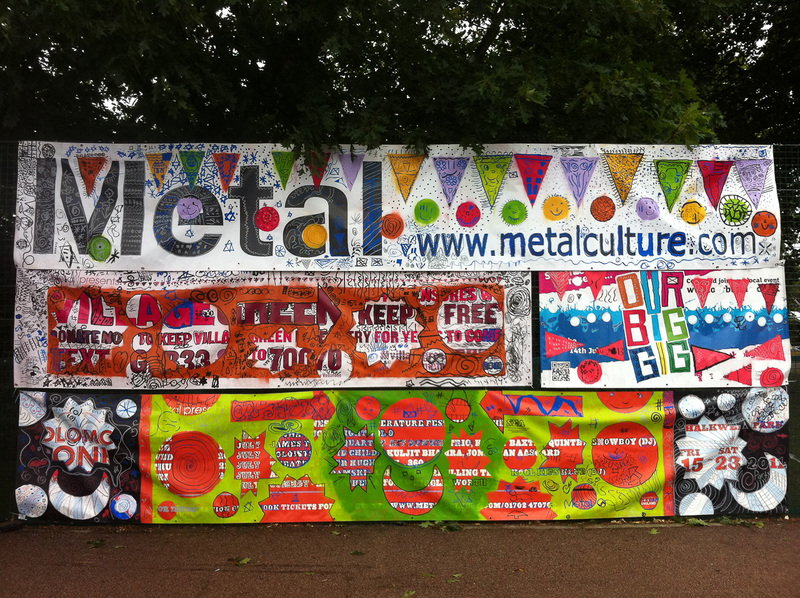 These vinyl banners are so ubiquitous around our towns these days – what happens to them after the event they promote? 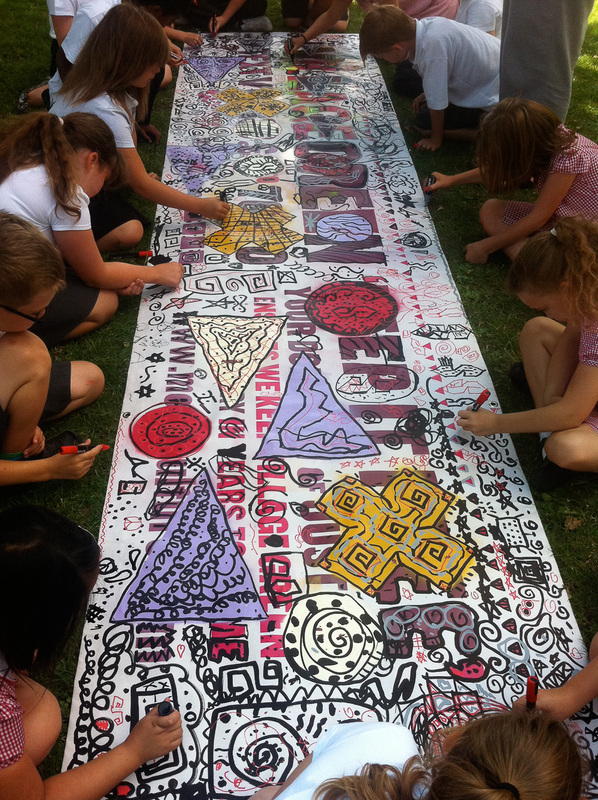 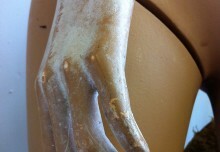 This seems a great way to upcycle them and give them a new life – I intend to take this great workshop around schools in the future – instant outdoor art !